Due to the increasing globalization of the world economies as well as the importance of having an efficient software for your company and processes, more and more companies are questioning from which source they should purchase a custom software solution. There is no doubt why some companies are afraid of expanding their own IT department or to set one up, as the salaries are on average much higher for the IT-resources than for any other department. So which solutions can Excel Help offer to still program and offer a custom software solution to a fair price? Excel Help is offering its programming solutions to customers worldwide since 2015. Our benefit is, that we work from our headquarter in Amsterdam, The Netherlands, remotely and can therefore save a lot of costs. We do not have to maintain expensive office locations and hire facility managers etc. – which makes it possible to offer our programming solutions to lower prices than our competitors. This applies to all our offered services like: development of mobile apps for Android systems, web based applications, custom software solutions within or outside Excel (VBA or JAVA programming services) as well as general requests for Excel help or automation. We set it as a goal, to provide fast and adequate solutions to our customers. 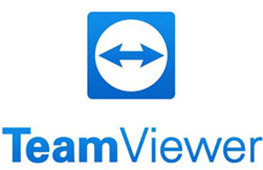 Because of the fact that we are not represented with offices worldwide, we make the use of remote control software like “Teamviewer” or “Skype”. Those software solutions have the benefit, that you can share your screens with each other and discuss also complex projects and files as if you would sit right next to each other. The optional function of phone calls makes it possible to have 0 phone costs during the project discussions and is therefore highly suitable for a custom software solution project meeting. The meetings and status updates will be agreed on a mutual base. That means, that on the beginning of a custom software solution project, the deadlines for each milestone will be set together. This will help to monitor and track the process of the custom software and to identify possible malfunction or missing functions in the custom software. The status updates will help to enhance the application until the next status update to guarantee, that all your system requirements will be embedded in the custom software. But it is not just the remote control software which helps Excel Help to operate successfully on a global scale, it is also the fact that we offer customer service support through three different country numbers – USA, Germany and The Netherlands! We are daily reachable also on public holidays as well as Sundays. Excel Help set it as its mission to satisfy customer needs and wants for their custom software solutions as fast and reliable as possible. We therefore even offer a “Best Price Guarantee”, which means that we will try to underbid your existing competitors offer if you send it to us with all the custom software requirements. Of course, the quality will still be as high as usual! And in case you should not be happy about the custom software – we offer a money back guarantee. All our services can vary in their prices – but especially in custom software projects, the prices can be higher if the complexity of processes is above average. In order to secure your payments, we of course understand the importance of partial payments after each milestone has been reached – so you do not have to worry about the money transactions. In case you should still have questions or would like one of our assistants to explain you more about the possibility of custom software programming or of another offered Excel Help service – please reach out to us via phone or email. Excel Help is happy to assist you! Next Next post: Software entwickeln lassen: In-house oder IT-Outsourcing Dienstleister?